Born in Ontario on 10 May 1857, he came to Manitoba in the 1880s and taught school at Brandon. 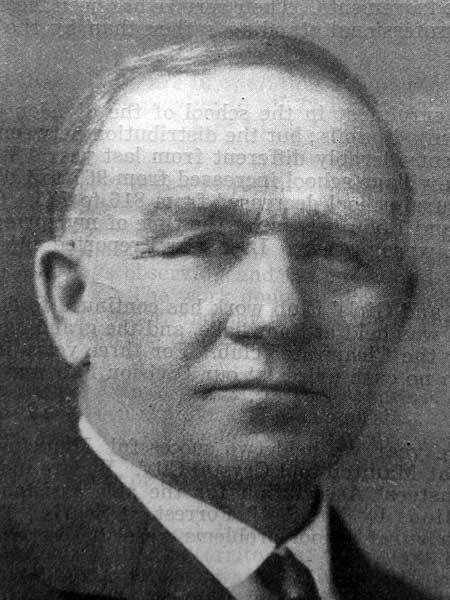 In 1892, he was appointed a School Inspector at Portage la Prairie, serving there until his retirement. On 9 October 1883, he was married to Linda Honora Finn (1861-1945) in the County of North Dufferin. They had ten children: Annie E. Maguire (1884-?, wife of Glenn W. Porter), Susie Maguire (1885-? ), Thomas Maguire (1890-? ), John Paterson Maguire (1893-? ), Frank Maguire (?-? ), Robert Willoughby Maguire (1895-1973), Harvey Mix Maguire (1897-1908), Josephine Arnot “Jo” Maguire (1899-1983), Honorah Winnifred “Norah” Maguire (1902-1992, wife of Raymond A. Chalmers), and Dennis Ewan Maguire (1907-1967). He died at Portage la Prairie on 11 June 1925. Obituary [Josephine Arnot Maguire], Winnipeg Free Press, 12 February 1983, page 61. Obituary [Honorah Winnifred Chalmers], Winnipeg Free Press, 19 September 1992, page 85. We thank Tom Maguire for providing additional information used here.